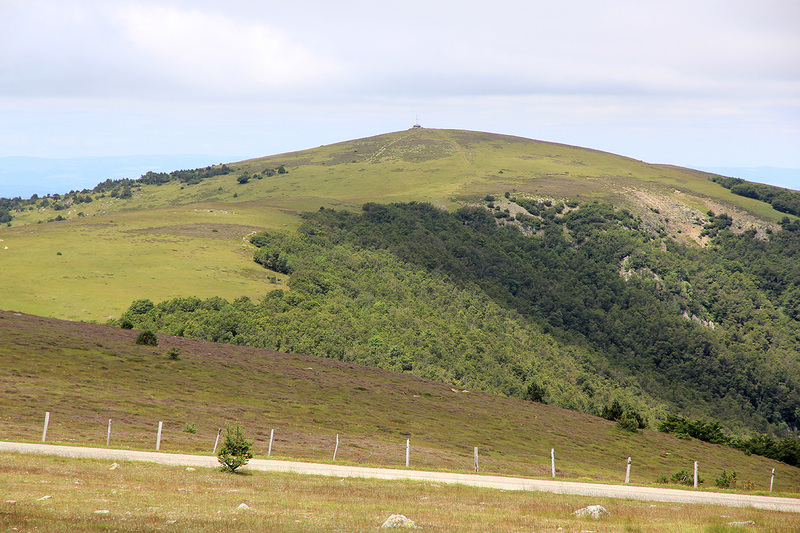 This mountain is located along a road that can be accessed from the village of Meyrueis, another village is Florac. The mountain is well signed at intersections when driving from nearby villages. 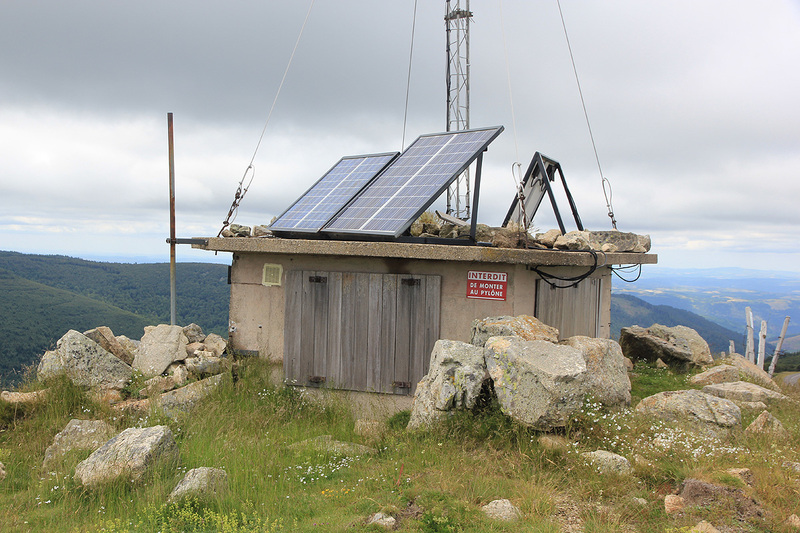 There is parking near some antennas at location N44:07.294, E003:34.536, elevation about 1561 meter. 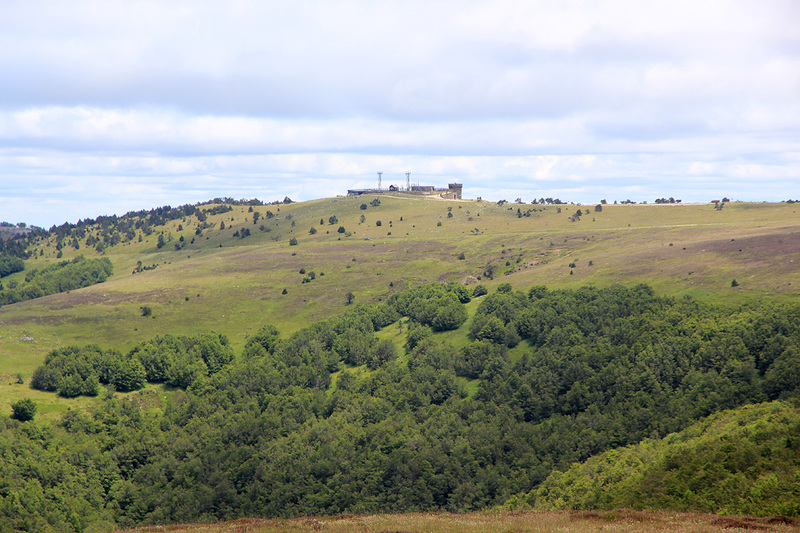 We came from Mont Lozère via Florac, a drive that took about 1:30. There are two summits. The first one has access directly from the parking area. This is the tourist visiting area. 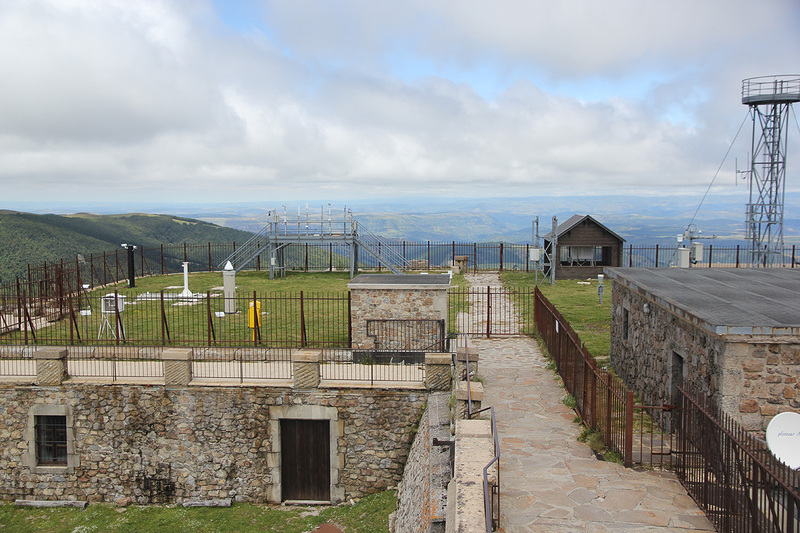 The actual highest ground on this summit has been fenced in and holds a number of antennas. One may however, climb a couple of steps next to the fence and stay on the highest ground. 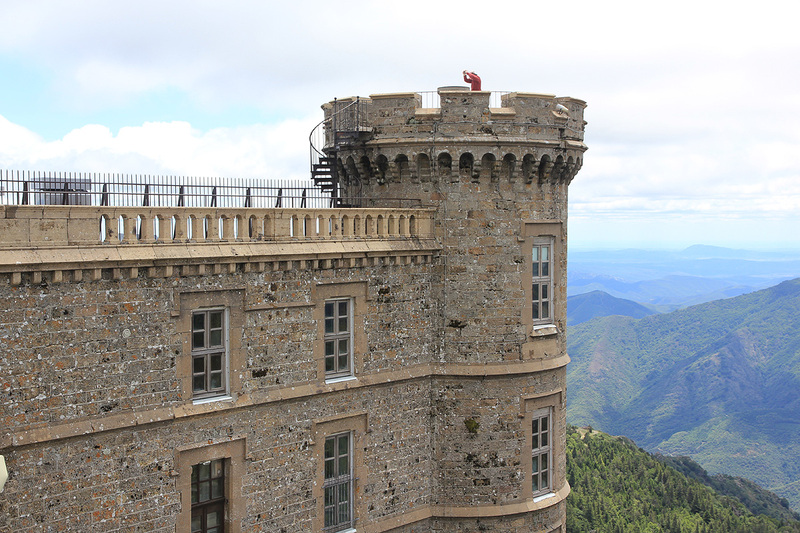 One can also follow a small walkway and climb a short spiral staircase to the top of a small tower. There is a viewfinder up there. From this location, one may look down at the highest natural ground. The other summit, the top of a grass hill, is located 1600 meter to the north-west. It is an easy ascent from the highway. 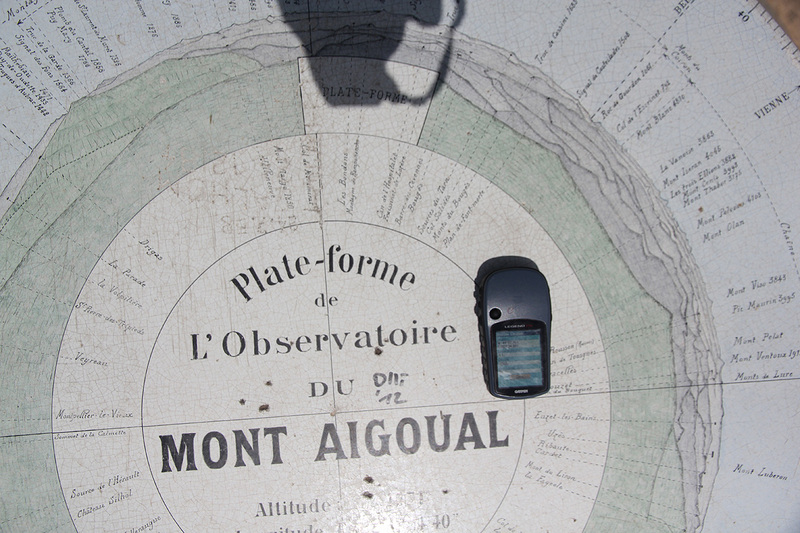 This location is N44:07.971, E003:34.134, I measured an elevation of 1566 meter, too close to call. 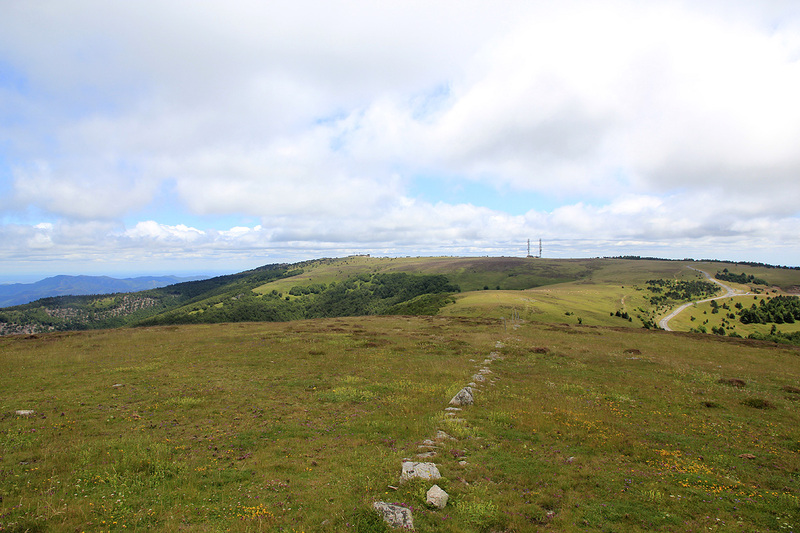 We came from Mont Lozère and arrived around 1330. After a brief visit, we drove across to the gras summit. The walk up there took about 5 minutes, arriving at 1405. We continued to St. Raphael were we visited our neigbors Vibeke and Per. The first summit, when looking back from the second summit. 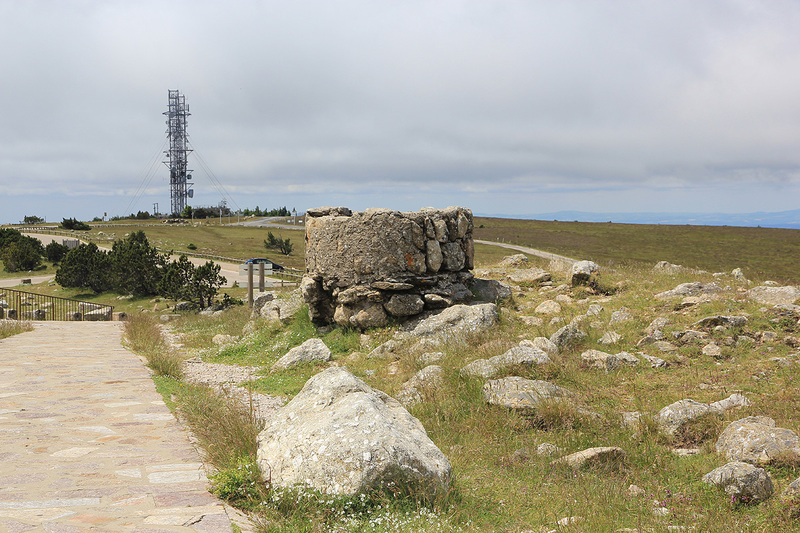 The landscape, as seen from the second summit.